Health Education England, has launched a national funding strategy for all Physician Associate courses in England. For September 2019 entry, students will receive a training grant of £5,000 per student, per programme via their university; it is not expected that they will be required to make an application for this allowance. Payments are to be made via two instalments of £2,500 per annum, subject to receipt of allocated places to Brunel, from Health Education England. This intensive and exciting new programme provides all the essential skills and knowledge necessary to become a Physician Associate in the UK. In addition, it provides the challenges of enhanced knowledge synthesis and research to produce academic clinicians equipped to lead and develop the profession. …a new healthcare professional who, while not a doctor, works to the medical model, with the attitudes, skills and knowledge base to deliver holistic care and treatment within the general medical and/or general practice team under defined levels of supervision. Physician Associates (PAs) are part of a new and growing profession within the NHS. PAs work alongside doctors in hospitals and GP surgeries to provide safe and quality care to patients. PAs, under supervision of doctors, may obtain medical histories, perform physical examinations, carry out diagnostic and therapeutic procedures, request and interpret test results, diagnose illnesses and develop treatment and management plans. The Physician Associate MSc programme includes over 1,800 hours of professional practice and will fully prepare you to practise in a wide variety of specialties and settings. Currently PAs work in General Practice, Emergency Medicine, and multiple Adult Medical and Surgical specialties. Successful completion of the Physician Associate MSc programme provides eligibility to sit for the Physician Associate National Examination and join the Managed Voluntary Register. 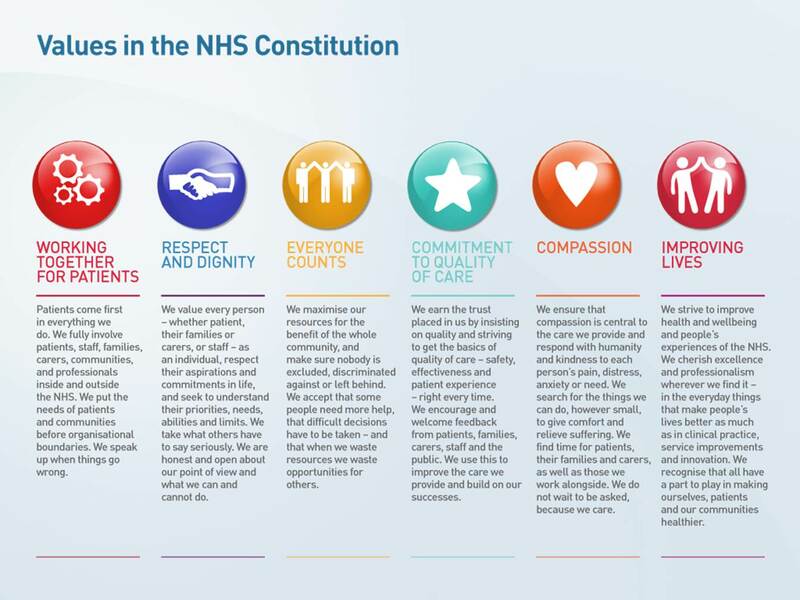 If you are considering studying the Physician Associate MSc Programme at Brunel University London then you are committed to working jointly with the NHS to demonstrate the values and beliefs of the constitution. The aim of the Physician Associate MSc programme is to prepare you as a medical professional who strives for excellence in clinical practice. To achieve this aim, the programme provides you with a strong scientific foundation and encourages the development of excellent practical and clinical reasoning skills. 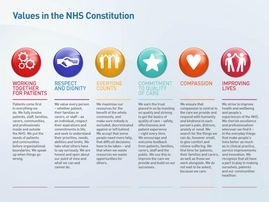 All of this is essential for you to treat patients safely and effectively. The programme also provides you with the means to critically evaluate your own patient care – a skill which is vital to continuing evidence-based practice. A sound working knowledge of research methodology provides the basis for this evaluation process and also the tools to develop your own research interests at any stage of your professional career. In addition, it helps develop vital communication skills and soundly embeds the essential core values of professionalism. Indeed, the Master's programme aims to produce highly professional graduates with excellent communication skills. Graduates are able to function as adaptable clinicians and fully interactive members of the multidisciplinary health care team within a changing health and social care setting. Our Physician Associate Master's course is an exciting and innovative modular programme, delivered full-time over two years. Applicants should be aware that the programme is delivered over a period 45 weeks in Year 1 and 48 weeks in Year 2. In addition the course is intense, with significant contact hours. Students should expect to be studying on campus from 9am - 6pm five days a week. All students must be ready to assume responsibility for their own learning. Clinical placements will start in the first term of Year 1 with weekly one-day GP placements. In Year 2 the majority of time will be spent on clinical placement in various practice settings. You should broadly expect to adopt the working patterns of the supervising clinician (clinical educator). Generally, you are expected to complete 42 weeks of clinical experience. You should expect to be working roughly a 40-hour week whilst on placement. This module will provide you with the knowledge and clinical reasoning skills of the fundamental elements of clinical medicine which include the presentation, diagnosis and management of disease and health conditions. This module will enable you to develop communication and clinical examination skills required for the Physician Associate role and to develop self-awareness and reflection appropriate for professional practice as a Physician Associate. This module will enable you to develop a greater knowledge and understanding of how the mechanisms of drug action are related to therapeutic and adverse effects. This will enhance practice, as you will be able to monitor and assess more effectively overall drug response, with resultant benefit to patient care. This module gives you the opportunity to examine recent literature and to consider its contribution to evidence-based practice. You will explore the types of information that are collected about health and will critically evaluate research material from a range of study designs. This module allows you to develop your knowledge and critical awareness of a variety of research methods, enhance skills for designing research studies, and to develop your knowledge of appropriate methods of data analysis. The module will enable you to work with an academic supervisor to design and conduct a piece of research on a topic relevant to medical practice. This module will provide you with the opportunity to develop and apply your basic skills of examination, assessment and treatment in real-life clinical environments to a variety of health disorders relevant to the placement specialty. It also allows you to participate in the health care of patients across their lifespan with a diversity of presentations. Finally, it also provides the practical experiences essential to inform your dissertation. For the award of Physician Associate MSc, students must pass the UK Physician Associate National Certification Examination. The Physician Associate (PA) profession is poised to make a significant difference to the provision and continuity of patient care throughout the NHS. Physician Associate graduates are pioneers in health care, promoting the profession, as well as educating both providers and patients about the work that PAs do. You will learn the following skills while you are studying on campus. These are further refined during your 42 weeks of clinical practice. The application of basic science and knowledge to the clinical situation. The needs of the patient for effective communication, compassion, dignity, confidentiality, cultural sensitivity, and respect. Proficiency with information technology as utilised in healthcare. Practical skills underpinned by a sound understanding of science and scientific principles. Problem-solving as evidenced by our teaching and learning situations and our assessment requirements. Developing the confident practitioner who is aware of their own strengths and weaknesses. Developing the self-reliant life-long learner with the skills and motivation to address weaknesses and to build on strengths. Developing the critical thinker able to evaluate scientific evidence and able to make valid judgments regarding evidence-based practice and to contribute to the profession and to the evidence base via their own research. There continues to be a growing demand for Physician Associates throughout the UK. PAs usually earn salaries based in Band 7 of the NHS Agenda for Change while some are offered salaries based in Band 6 if a structured internship is being offered. PAs work in a variety of clinical settings and specialties including GP surgeries, hospital inpatient wards, and A & E departments. Please see the FAQ page of the Royal College of Physicians Faculty of Physician Associates (RCPFPA) website for more information. The RCPFPA’s most recent census information can be viewed at Census Results. Watch this video 'A Day in the Life of a Physician Associate'. Whilst on placements you will be supervised by doctors and physician associates. You will be assessed on placement by your supervising clinician(s). The assessment score from clinical placement modules will contribute to your final degree classification. All clinical placement modules are organised on the student's behalf by the clinical co-ordination team. This allows us to provide you with a balanced clinical experience both in terms of the specialties/patient groups you have worked with and the range of health care setting you have worked in. It is important that you are exposed to a variety of health settings, which are reflective of current clinical practice. We are sympathetic to your needs when we assign clinical placements. However, we are unable to guarantee that any student will be located close to their home or term-time address and you may have to commute or live away from home for the duration of a placement or two. We do try to give special consideration to students whose personal circumstances fall within specified criteria, ie they have young children, are a main carer, or have a declared disability etc. A UK first or 2:1 Honours degree, or equivalent internationally recognised qualification, in a Life or Health Sciences subject area (i.e. Biology, Biochemistry, Biomedical Sciences, Medical Sciences, Medical Engineering, Nursing, Operating Department Practice, Paramedic Pharmacy, Physiology). Applicants who hold a UK (2:2) Honours degree, or equivalent internationally recognised qualification, with relevant work experience will be considered on an individual basis. All short-listed applicants will be required to attend an interview. 1. Describe your motivation to become a physician associate detailing your experience, qualifications, and personal qualities as they pertain to becoming a member of the profession. 2. Discuss how the physician associate role might fit into the UK healthcare system. Two satisfactory references are required to support your application, both dated within the last year. One of these must be a recent academic reference and the other should be either a second academic reference or a professional/employer reference. Your referees should know you well enough, in an official capacity, to write about you and your suitability for higher education. We do not accept references from family, friends, partners, ex-partners or yourself. Successful applicants will have a satisfactory health clearance and are required to undergo appropriate blood tests and immunisations against hepatitis B, MMR, TB, and chicken pox. If you are a current healthcare professional or a member of a registered professional body, we ask that you provide details of your registration. If you have had your professional registration suspended or revoked, or undergone a disciplinary/fitness to practise investigation, you will be required to provide further information if selected for interview. You may also be asked to provide full copies of related documentation. Meeting the minimum entry requirements does not guarantee an interview or a place on the programme. A mix of teaching/learning approaches are used including: classroom based learning, problem/evidence-based learning, peer-assisted learning, clinical practice learning, independent learning, e-learning, assimilated learning in clinical labs, and the use of trained teaching associates for intimate examinations. Emphasis will be placed on active student participation, reflection and learning. As a Physician Associate MSc student we expect you to come to us with specific academic skills and abilities. Your learning will rapidly become self-directed. We will build upon your ability to perform literature searches and critically appraise the evidence base and so prepare you for your commitment to continued professional development and lifelong learning after qualifying. Assessments will include single best answer/multiple choice questions papers and Objective Structured Clinical Examinations (OSCEs) to begin early preparation for the National Examination. Other assessments will include written assignments, oral presentations, reflection papers, and a portfolio of evidence. All modules must be passed in order to proceed through the course. Normally students will have two attempts at passing each assessment. You’ll study in purpose-built facilities in our multi-million pound health sciences building and you’ll share elements of your course with Master’s students from other health-related disciplines. You’ll enjoy our campus university, where you’re never more than a ten minute walk from halls of residence, catering, social, sports and study facilities, lecture theatres, the Library and support services. You’ll be taught by experts in delivering accredited programmes such as Biosciences, Occupational therapy and Physiotherapy. You’ll complete 1800 hours of clinical placement during the course. On successful completion of the Physician Associate MSc programme, you will be eligible to sit for the Physician Associate National Examination and join the Managed Voluntary Register. Please see information about additional fees. "Health Education England has received confirmation from the Department for Education and the Student Loans Company that the HEE training grant for MSc PA programmes does not affect the eligibility of students enrolled onto MSc PA courses to apply for a Postgraduate Master’s loan."